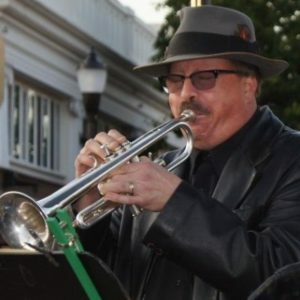 A professional Trumpeter and Music Educator for 40 years; John was born in Chico, California. He performs and teaches all styles of music ranging from classical to modern contemporary jazz. 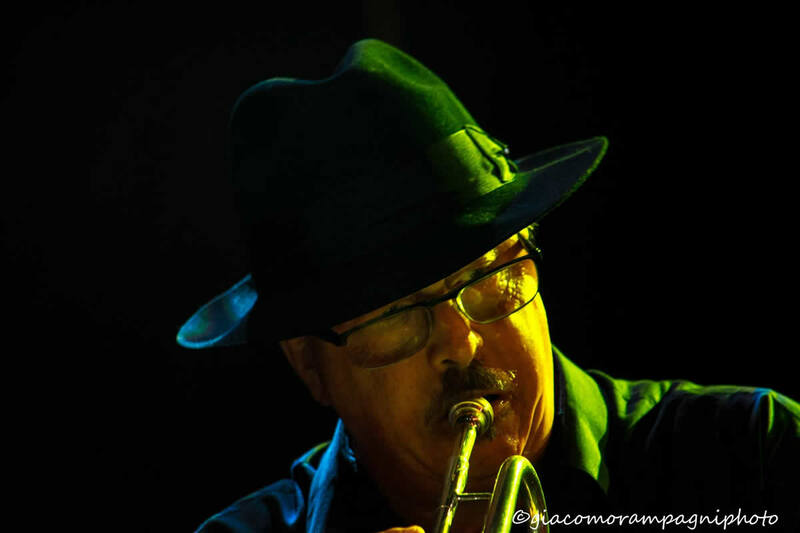 He has taught private trumpet lessons at Music Works in El Cerrito for over 36 years. John has recorded with: Lifeline & Kenny G., The Untouchables, Sexteto Diablo, Cold Soul Blues Band, Cheo Concepcion, Contra Costa College Big Band, The Black Song & Poetry Ensemble of Contra Costa College, Spectrum, Atomic Blues, Soul Inheritance, The Joe Henderson Memorial Big Band, King Cosby, The Steve McQuarry Pangaea Quintet, The Reno Jazz Orchestra, singer Dale Head and most recently, African Master Drummer Kokoman Clottey. John has performed with: Joe Henderson, Joel Dorham’s Afro Latin Octet, Pete & Sheila Escovedo, Richard Bean & Raul Rekow (original members of Malo), Wayne Wallace, Michael Wolfe, Tom Politzer, Wayne Bergeron, The Coasters, The Drifters, Lydia Pense & Cold Blood, Jackie Payne, GTS, Napata & the Kisses, Jimmy James, Maria Alcina, Lefty Perez, Batucaje, Esencia, Orquesta Positiva, The Lafayette Studio Big Band, The Tim Acosta Roadkill Bigband, The Rory Snyder Night Jazz Band, The Diablo Valley Symphony, and The Contra Costa Symphony. 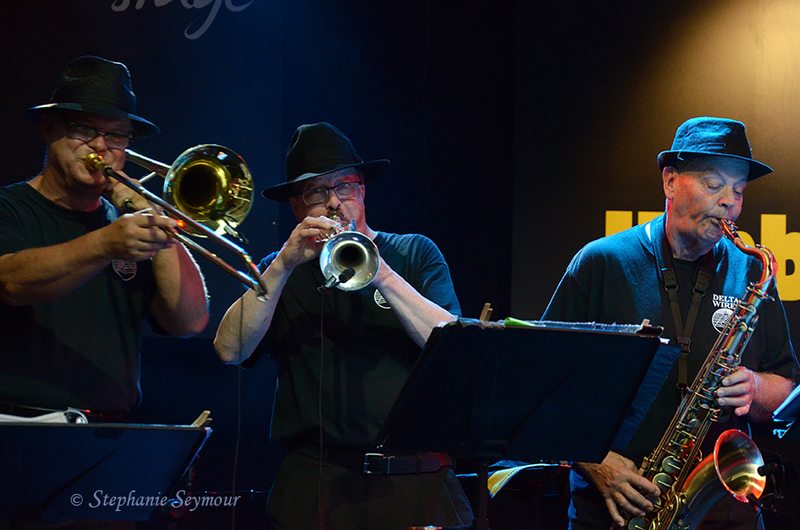 Additionally, John has shared the same stage with Earth Wind & Fire, Chicago, Ray Charles, Joe Williams, Lou Rawls, Nancy Wilson, Earl Kluh, Diane Shur, Toots Thielman, James Moody, Richie Cole & Alto Madness, The Clayton-Hamilton Big Band, Joe Louis Walker, Little Milton, E.C. Scott, David Bowie, The Stray Cats, Van Halen, Stevie Nicks, Men at Work, Confunkshun, The Spinners and many others. John joined Delta Wires full-time in January 2017.